This is an issue that affects both healthcare providers and legal professionals. Illegible handwriting creates patient safety issues when critical illegible information is misunderstood or ignored. Illegible handwriting creates difficulties for legal professionals who need to understand what occurred with the patient’s care. My audience members said it is difficult to determine who wrote what. Names are often scrawled rather than written legibly. Some of the solutions to this problem are to enlarge a page to make the writing clearer, ask a healthcare professional to help you interpret the writing, or, if possible, ask the person who wrote the note to create a transcription. Some notes are so frankly illegible that no one can read them. One of the solutions to this issue is to impose standards for handwritten and electronic medical records. This solution challenges the American cultural perspective that encourages us to be individualistic, to do our own thing at the expense of uniformity. Another solution, which is more realistic, is to carefully look at the way medical records are constructed to assemble a sense of the pattern the facility uses. For example, we have learned these patterns by organizing medical records for cases that we review in-house or send to our expert witnesses. 3. Certified copies – are they complete? The facility sends you a certified copy of the medical record, which means someone supposedly compared it with the original medical record and agreed that every page was duplicated. You get the medical record in your office, then realize it is missing nursing notes, page 2 of an operative report, or other pages. We recently received a medical record that had no physician orders or medication administration records, although the hospital insisted the record was complete. After a couple of rounds of asking for a complete chart, the attorney went to the hospital and looked at the original and found the missing documentation. You should not have to do that. Be adamant in insisting that the facility gives you a complete record. A legal nurse consultant readily recognizes what is missing in a printed chart because we know what should be there. Our preprinted medical record tabs help us identify missing or incomplete medical records, which is how we knew the hospital had not supplied them. We have also used a preprinted checklist that gives an overview of what might be contained in a medical record. While electronic medical records are legible, they may not provide meaningful information. There are often many screens for the healthcare provider to click through to add data to checklists. The quest to complete checklists may result in loss of the narrative data needed to understand the events, which is particularly important in analyzing a medical malpractice case. Both healthcare providers and attorneys are currently feeling a lot of frustration with awkwardly designed software. Records are printed out in sometimes complete random order, which then requires extensive time to assemble them into a logical way. One of the solutions to this problem is for defense counsel to discuss with risk managers the implications of the software and the trouble it creates when defending claims. Risk managers may have the power needed within their facilities to push for software modifications that will improve the ability to record information in a more meaningful way. Medical records have always been in an imperfect state. They are evolving. As handwritten records fade away and electronic medical records become more common, they will improve. Healthcare providers want more responsive software and legal professionals need the same improvements in order to understand medical care provided to the plaintiff. 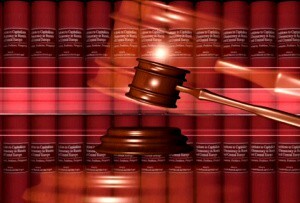 Med League has reviewed thousands of medical charts and medical records for litigation reasons. Med League nurses have expertise in analyzing medical records for inconsistencies and abnormalities. Med League also provides medical record retrieval service to attorneys. Contact us for a deep medical analysis of your case or to sign-up for medical record retrieval service.